Uncle Sam Patriotic Solos for French Horn: 10 Patriotic Songs of the U.S.A.
Patriotic Solos for French Horn: 10 Patriotic Songs of the U.S.A. This collection features a selection of the greatest Patriotic Songs of the United States Of America. 1. 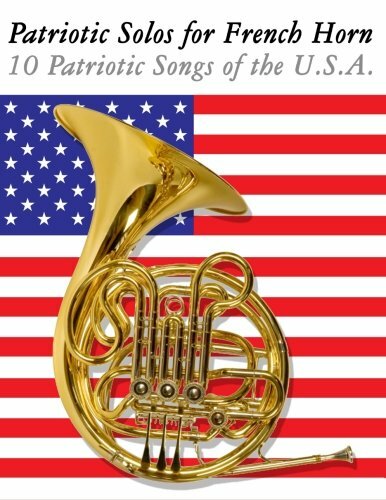 Patriotic Solos for French Horn: 10 Patriotic Songs of the U.S.A.
2. Patriotic Solos for French Horn: 10 Patriotic Songs of the U.S.A.
5. Patriotic Solos for French Horn: 10 Patriotic Songs of the U.S.A.
6. Patriotic Solos for French Horn: 10 Patriotic Songs of the U.S.A.